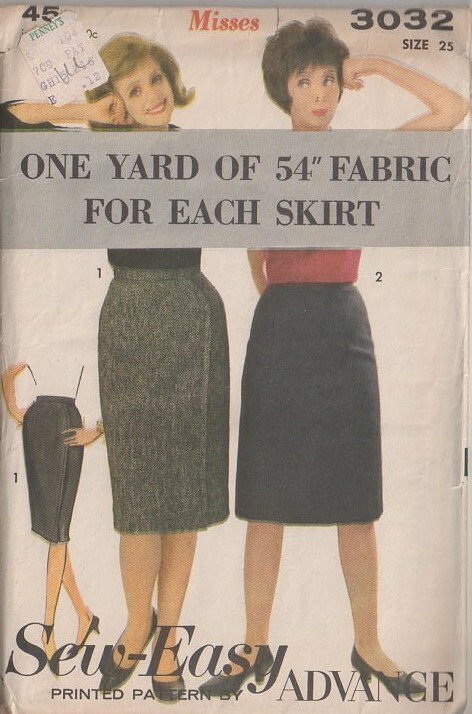 60s Office, Retro Beginners Clothing Patterns - SNAZZY skirt in two styles, each made from just one yard of 54" fabric! Narrow waistband; View 1 is faux wrap with a center back seam & zipper, no kick pleat or vent. View 2 is gored and the zipper is in the back left side panel.. slightly off to one side. No pockets.